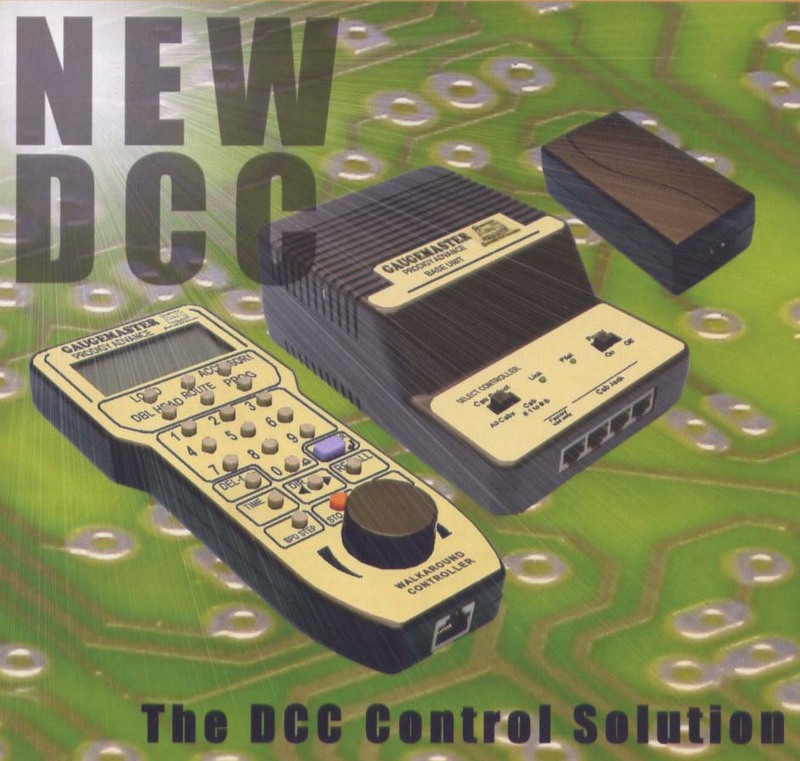 After two years of careful research and consideration, GAUGEMASTER have chosen and developed the DCC system to best suit the needs of the UK modeller. PRODIGY ADVANCE2 is one of the most straight-forward DCC packages on the market today. PRODIGY ADVANCE2 conforms with NMRA standards and is compatible with most other leading DCC systems. Its strength is its simplicity without compromise and PRODIGY ADVANCE2 will grow as your layout grows, allowing you to use the system at a level appropriate to your layout and style of operation. PRODIGY ADVANCE2 consists of a BASE STATION, a WALKAROUND controller and a POWER SUPPLY - the complete package will enable you to digitally control your chipped locomotives within minutes. Wave goodbye to cab control, section switches and isolating sections - as just two wires from your PRODIGY ADVANCE2 BASE STATION run your whole railway in the way you want to without the normal constraints of analogue operation. Naturally, a full supply of accessories is also available as is the legendary GAUGEMASTER after sales service and technical support. 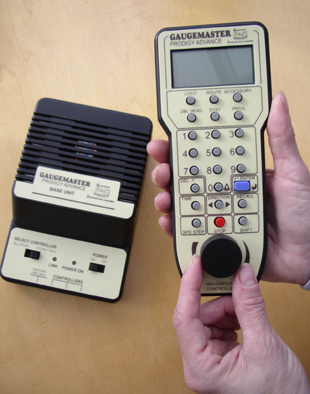 GAUGEMASTER has been making controllers for over 25 years - PRODIGY ADVANCE2 is our most exciting development yet. Contact us now for more information. PRODIGY ADVANCE2 consists of three elements. The POWER PACK transforms the power from your mains socket ready for the Base Unit. The BASE UNIT is the brains behind the operation. It contains all the technology you need to send DCC commands to your trains and accessories. However, short of turning the power on and off, you'll find your closest companion is the Walkaround controller which plugs straight into the Base Unit. The WALKAROUND is a hand-held controller that you use to send your commands to the Base Unit, which then sends them on to the relevant decoder on your layout. You control the speed and direction of your trains from here. One of the key features of DCC operation is that each of your locomotives has a numeric address which you select as and when you want to run that locomotive. DCC allows you to run it anywhere on your railway at the same time as other trains are moving as well. You can operate points (individually or route set) and signals from the Walkaround. You can use it to programme your decoders to replicate the running characteristics of your locomotives, or even introduce a speed clock that allows you to run a 24 hour timetable within one operating session. The possibilities are almost endless with DCC and with locomotives becoming available with factory-fitted decoders as standard, we are entering an exciting new era. Of course, you can also retro-fit your older locomotives with decoders if you wish.